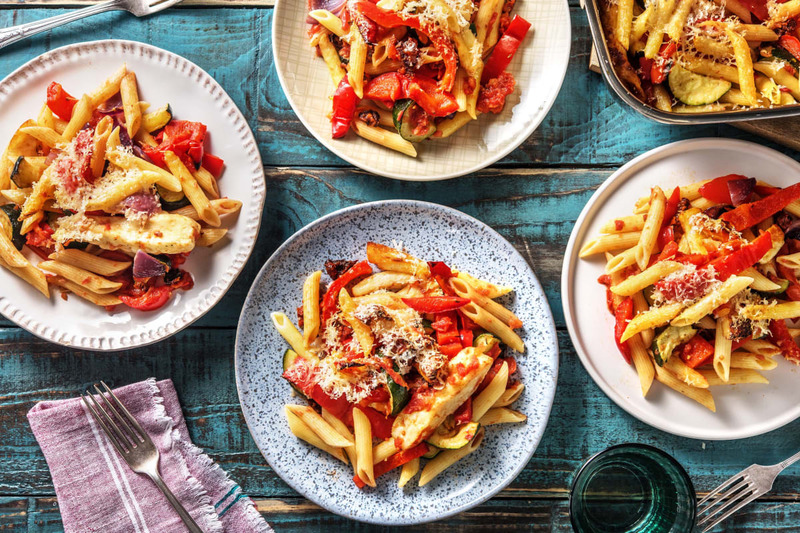 Chef Lizzie’s delicious halloumi pasta bake is a quick and easy recipe, perfect for any night of the week. 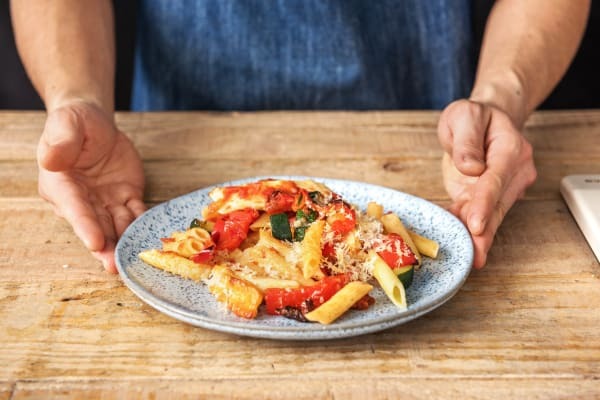 For maximum flavour, courgettes, peppers, sweet onions and halloumi are roasted together before being added to the pasta and stirred through with sundried tomatoes, fresh basil and a rich tomato sauce. Finish everything off by covering the pasta mix with cheese, and baking it until the top looks golden and bubbly. Preheat your oven to 200°C and bring a large saucepan of water to the boil with a pinch of salt. Chop the halloumi into 2cm chunks. Trim the courgette, halve lengthways then chop widthways into 2cm chunks. Halve and peel the red onion. Chop each half into quarters. Halve the red pepper and discard the core and seeds. Chop into 2cm chunks. 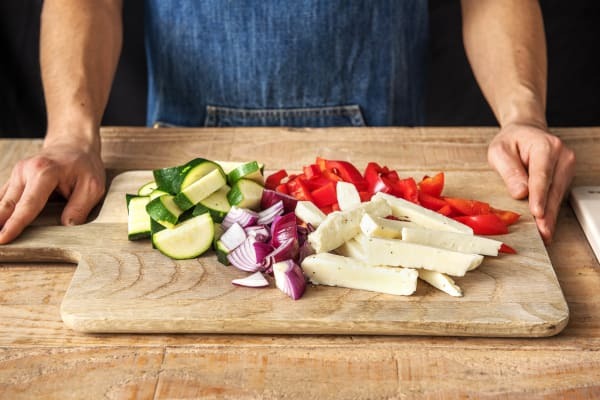 Pop the halloumi and chopped veggies on a large lined baking tray and drizzle with oil. Sprinkle on the dried oregano and smoked paprika and season with a pinch of salt and pepper. Toss to coat then spread out in one layer and roast on the top shelf of your oven until golden, 20-25 mins. Turn halfway through cooking. 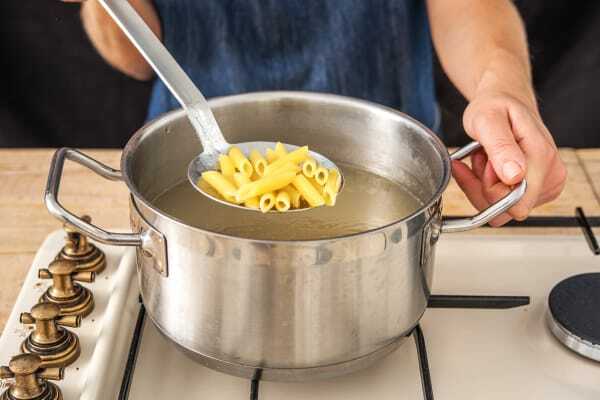 Add the wheat penne to the pan of boiling water and cook for 10 mins. Drain in a colander then return to the pan (off the heat) and drizzle with oil to stop it sticking. Roughly chop the sun-dried tomatoes. 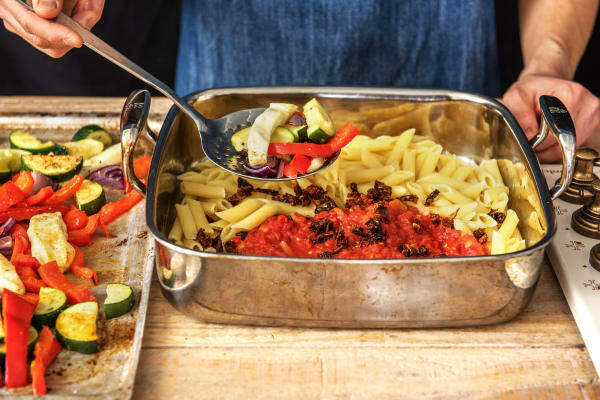 When the veggies and halloumi are done, transfer them to an ovenproof dish along with the cooked wheat pasta, sundried tomatoes and finely chopped tomatoes. Add in half the basil then stir everything together. Sprinkle the cheese over the top then bake on the top shelf of your oven until golden and bubbly, 8-10 mins. 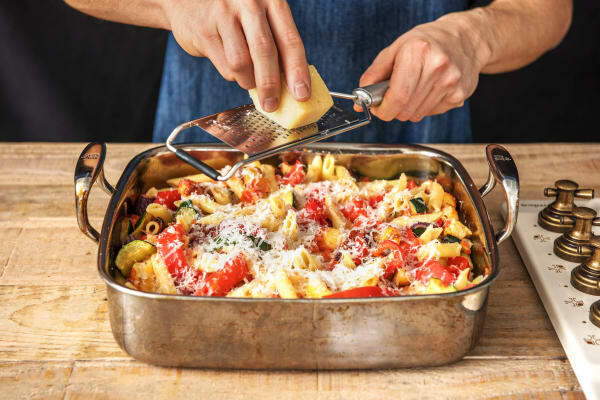 Divide the halloumi wheat pasta bake between your plates and serve.Enjoy!